In year 1997 when I was introduced to blogging through a tech column it sounded like a useless idea, which I quickly and impatiently dismissed thinking ‘who wants to maintain an online journal?’ For me the concept was far less than practical. 3 years later I felt God’s calling in my life. I Left home to enroll in Bible college and graduated with a Bachelors Degree in Theology in the year 2006. I was very passionate about sharing God’s word with masses and had a lot to share. But the entire year went by without a single opportunity to preach. This is why in the year 2007 I decided to set up my own online sermon library. While regular Christians were the target audience, later it changed to Pastors, teachers and leaders. There was one challenge however. Designing the website. I contacted several web design firms whose prices were sky high. Then I suddenly remembered the tech column about blogging I read years ago and thought to give it a try. I started out with BlogSpot and after using it for few months felt the need for a more flexible blogging platform. A search query in Google returned many blogging tools and the link to self hosted WordPress was on top. Unlike BlogSpot and WordPress.Com self hosted WordPress gives you complete control over the setup but requires your own hosting and domain name. To add to the trouble I was a broken fresh Bible school graduate living off a 50$ monthly salary. Somehow I managed to register the domain name and bought a hosting package within 30$, (that was 60% of my monthly salary!) I installed WordPress just to give it a try and have been using WordPress ever since. So that’s how I started using WordPress. I can describe my experience with WordPress in just one word. ‘Cool!’ So today I am going to share with you how your church can do the same with WordPress. It has a very hassle free administrative back-end. Installation is a breeze. Maintenance is very convenient. This is important because most church blogs are maintained by volunteers. Are you familiar with iPhone or Android apps or even installing software in Windows? Plugins are just like that. Most plugins are free and help you expand your WP driven blog’s functionality with minimum effort. There are many plugins written with ministry blogs in mind. Reftagger is one such useful plugin which displays bible references in blog posts as tool tips when a visitor hovers the mouse over them. The WP forum is backed by WP users and developers around the globe. You can always post your problem in the forums if hiring a professional might burn a whole in your pocket. WP is a highly secure blogging platform. This is crucial because church websites and blogs have become a constant target of hackers. WP is used by many high profile government agencies also such as US Air Force, CIA, FBI and NSA. WP is free. Needless to say churches are not organizations capable of spending a fortune for setting up an online presence, and WP is the perfect solution. Search engine optimization is a costly operation and I am sure it cannot fit into a church budget. WordPress however is coded with search engines in mind. Besides, once your blog is up and running you can use a plugin such as SEO Ultimate to tweak the content to fit search engines. A domain name is what you type in the browser’s address bar in order to visit a specific website. For example, VIRTUALPREACHER.ORG is our domain name. You can choose any domain name provided someone has not registered it already. For example you can’t register VIRTUALPREACHER.ORG because it’s already registered. Since we are talking about a church blog it’s good to pick something that ends in .ORG – Also research has revealed that people trust website URLs ending in .ORG over others. There are many domain registrars out there. Namecheap is my personal choice however. Usually when you sign up with a web hosting company they will register the proposed domain name on your behalf. However it’s a pretty good idea to register the domain name yourself and later update the name servers. This gives you complete ownership and control over the domain name. A web host rents out its own resources (web servers, bandwidth, routers, manpower etc.) so that the blog owner doesn’t have to bother to set up his own hardware. He simply opens a support ticket whenever something goes wrong and the rest is taken care of by the support staff. Also make sure to choose a Linux based hosting package that includes the latest version of PHP and MySQL. WordPress can run on top of Windows based servers too. However the experience might not be as smooth as with Linux. Additionally, be sure to choose a hosting company that supports CPanel hosting with Fantastico which makes installing WordPress even more easier. Finally if you want to sign up with a hosting company other than the one I mentioned before find out these details about the target. Is the company popular? Has it got a reputed service record? What about tech support? Who else is hosting websites with them? Get feedback from those clients. I have seen some web hosting companies disappear without a trace and clients are left behind with a broken website. You may also consider these premium grade hosting packages available to churches absolutely free of charge. The YouTube video below is a step by step tutorial about installing WordPress using Fantastico. While Global Evangelists by Jeremy Young (a born again Christian blogger) was used to be the only online WordPress manual I was used to recommend to people he discontinued it some years ago and now the domain redirects to his personal blog. Now I recommend easyWPGuide by Anthony Hortin. His manual is available in PDF format, a brandable Word document and also ePub & Mobipocket eBook versions. You can even read it online. WordPress Driven Church too is a good place to start with. Now it takes much time to maintain a blog than to setup one. 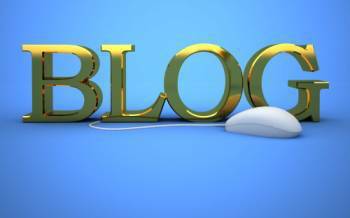 Blogs need regular updates and maintenance which could stress out even the best bloggers. I have experienced this first hand in my 6 years of blogging venture and this is why it’s a good idea to have a team. The number of people in your team could vary. However have at least 3 people to handle technical issues, (troubleshooting, security, updates etc.) Another 2 people to write blog posts (WordPress supports multiple user roles and post revisions). 3 more people to take care of bills (hosting, domain name renewal). Now WordPress isn’t the only solution, nor even the only Open Source content management system; but is by far the most popular, largely due to to its ease of use. If you are looking forward to setup a church blog using WordPress I hope you will find this article useful. Should you have any questions feel free to ask it in the comment area below or send me an email. Also let me know if you are not comfortable with installing WordPress yourself. I am glad to help. Greetings Yohan: Regarding new blog setup, do you mean I have to have a new domain name for my blog? I currently have a domain name for my church website. In essence, does my new blog domain name has to be different from church’s domain name? Thanks. Hi, this was very useful and now I have an idea of what to do. I was actually going to start my blog with my poems and videos on YouTube that I liked but now I have learned that I can also talk about things I learned at bible study or my own study.Thank you so much and please tell me what you think about my opinion. Nice introduction to how to start a blog. More and more people are starting blogs. I have discovered that it takes much time to maintain the blog, than to start one. I just went through your website and I think it was quite good. There are a lot of things to read but I did not take time to go through all that. On the whole I think it was a good job and want to encourage you to keep working on it. Want to wish you all the success in all your endeavors. The Lord bless you abundantly.